The organ of Saint Bartholomew’s, so central to the church’s music, was originally built in 1887 by Gray & Davidson. Rebuilt in 1925, it was then left largely unaltered until 1963 when J.W. Walker undertook a major restoration (in particular reducing the instrument from three manuals to two). This rebuild changed the character of the organ but retained most of the original pipework and mechanism. After almost forty years of reliable service, as the twentieth century drew to a close it became clear that the organ was in urgent need of restoration. The original Victorian soundboards required replacement as they had cracked and developed leaks. 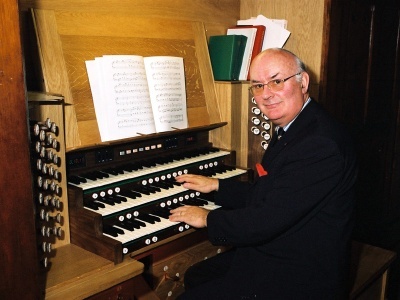 The work was entrusted to the Dublin organ-builder Trevor Crowe, whose other work includes the organs of the National Concert Hall, Dublin; St Peter’s, Eton Square, London; and St Mary the Great, Cambridge. The rebuild – which involved a complete redevelopment of the organ – was completed in 2002. Much of the original instrument’s character was brought back by restoring the third manual. In addition, sophisticated technology was incorporated, allowing the player to program sequences of stops and pre-define stop combinations. The instrument was ingeniously fitted into a fairly small chamber on the north side of the building. The consultant for the project was Professor Gerard Gillen, Titular Organist of St Mary’s Pro-cathedral. He gave the inaugural recital on Sunday 6 October 2002, the anniversary of the church’s dedication. Today the organ has a reputation as one of the finest instruments in the country. As well as playing a full part in the church’s liturgy and supporting the seventy members of the church choirs in the weekly services, it is also used regularly for concerts, recitals and recordings, most recently featuring on Christ Church Cathedral Choir’s recording of music by Herbert Howells (Signum Records). It is also used each year for the organ-playing component of the Feis Ceoil festival. Those wishing to play the instrument are warmly invited to contact the Director of Music. Several recordings of the organ are available for download.